Billboard already released the box scores for the first 74 of 88 MDNA Tour concerts. 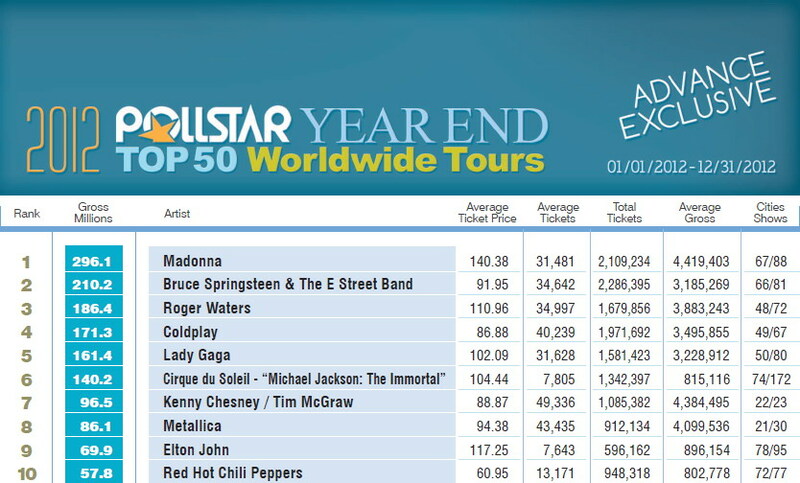 While we wait on the exact numbers for the remaining cities, Pollstar revealed that Madonna’s MDNA Tour grossed $296.1 million this year and easily claims the No.1 spot on the “2012 Top Worldwide Tours” chart. This makes it the 10th highest-grossing tour of all time and also gives Madonna the record for top two highest-grossing-tours of all time for a female artist.